Circus Fun Productions has over 30 years of experience entertaining children in the Northern NJ area. They provide a wide variety of entertainers and rentals for kids parties and events, including clowns, magicians, face painters, food stands and more. 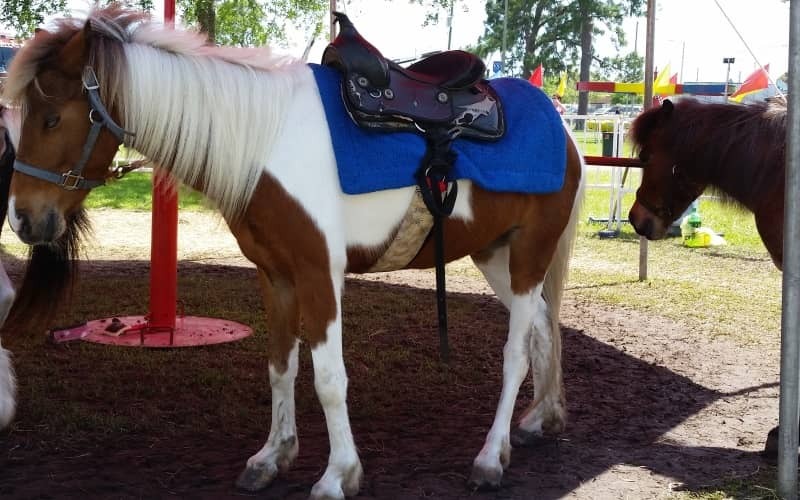 One of their most popular rental options is their traveling pony rides for birthday parties. Ponies are safely delivered to your home or party location. A professional supervisor stays for the duration of your party to oversee and hand-guide all rides. Ponies are available for children’s parties only. Call to speak with a representative today! Circus Fun Productions comes to you! Click here for all pony ride parties in NJ. Also check out our complete New Jersey party services guide.